We were very excited to interview an award-winning children’s author this week, as part of our inquiry into story telling. Our class has been studying Alice-Miranda at School over many weeks, while investigating genre, plot, characterisation and writing techniques. 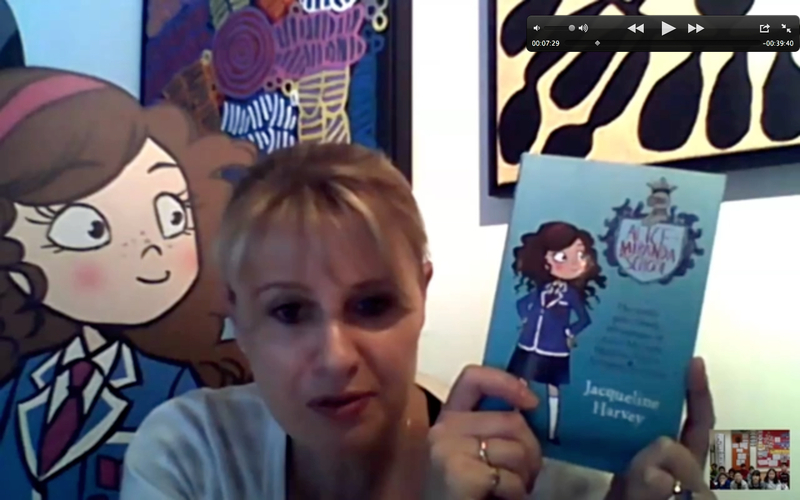 During a Skype interview, we asked many questions about where Jacqueline finds inspiration, how she makes a story engaging, the themes of the book and the publishing process. Jacqueline told us she writes 50,000 words per book and sometimes spends 10 hours writing each day. She explained how to start with an idea, and then bring a character to life. She gave us advice about writing dialogue and using action to keep a story moving. It was really great to talk to a famous author. Jacqueline was interested in our lives, too. She asked us questions about Chinese New Year and the weather in Beijing. She told us that she travels regularly to promote her books. We encouraged Jacqueline Harvey to set the next book in China. We would love to see Alice-Miranda on the Great Wall! What did you find most interesting or surprising in Jacqueline Harvey’s answers? What did you learn about writing during the interview? How will you use Jacqueline Harvey’s advice to improve your writing? 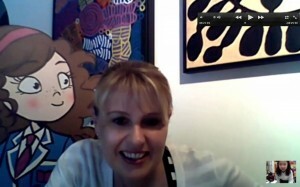 It was fun talking with Jacqueline Harvey on Skype. I was nervous when it was close to my turn to ask a question to Jacqueline Harvey. I was shaking and it felt like there were butterflies in my stomach. But when I spoke to Jacqueline Harvey, I did feel nervous after all, and I didn’t know why. It was really really fun talking to Jacqueline Harvey. We all feel nervous about public speaking sometimes. It was great to hear you ask a question so confidently. I learned from the interview that being an author must be hard work! You might need to write for almost 9-10 hours per day, you might travel to many places to find ideas and also, publishing your books might take you 5 years! I wonder how authors can wait for 1826 days to see their story become a book?! (5 years).